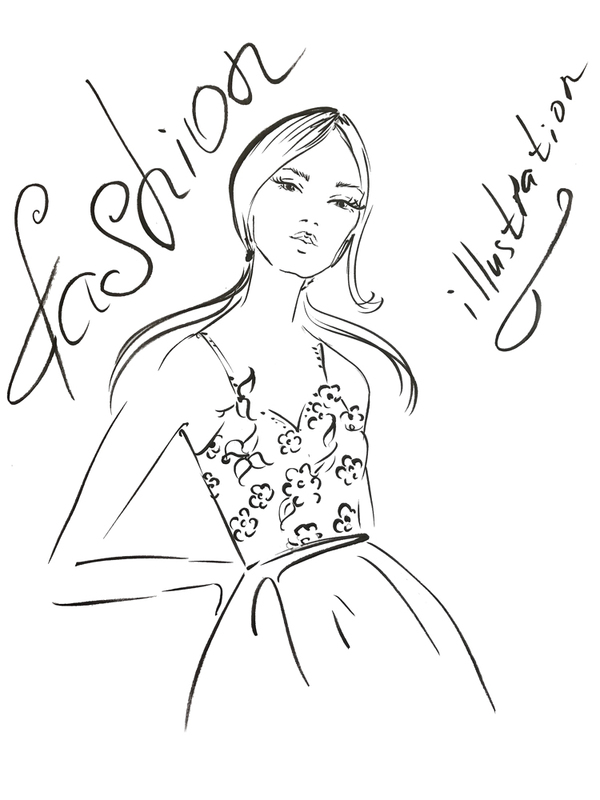 There is no THE RIGHT WAY nor THE ONLY WAY to draw a fashion figure. Every artist has his/her own particular style so don’t be intimidated by the variety of tutorials and different techniques. All you need is to learn the basics and choose the technique that works for you. It’s important to first understand the human body, how it moves, and how it is shaped so you can create realistic looking sketches. 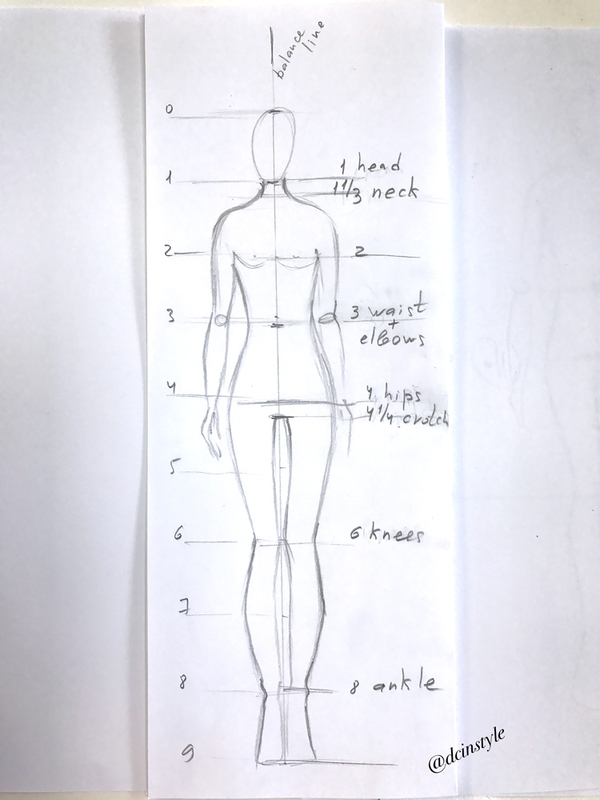 There is a big difference between real human body proportions and fashion illustration proportions. 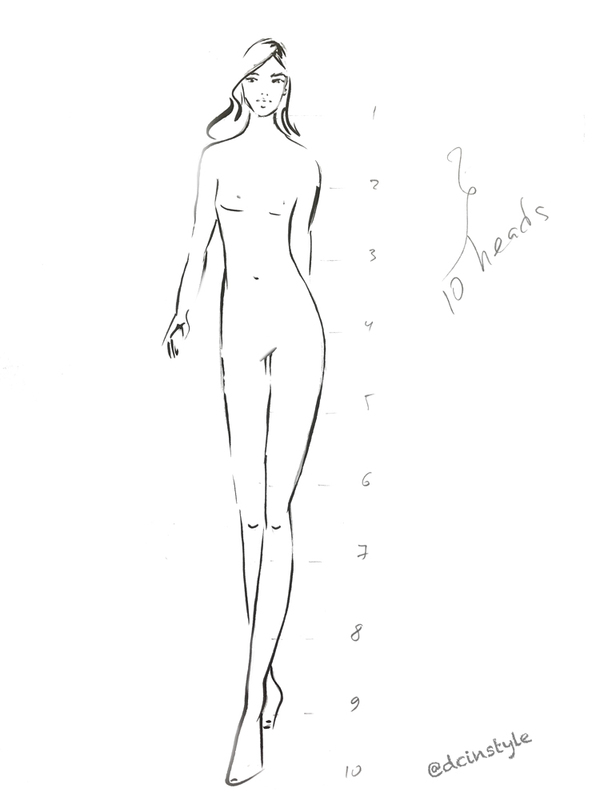 If you measure a figure in heads, an average female figure will be 8 heads tall (example below). 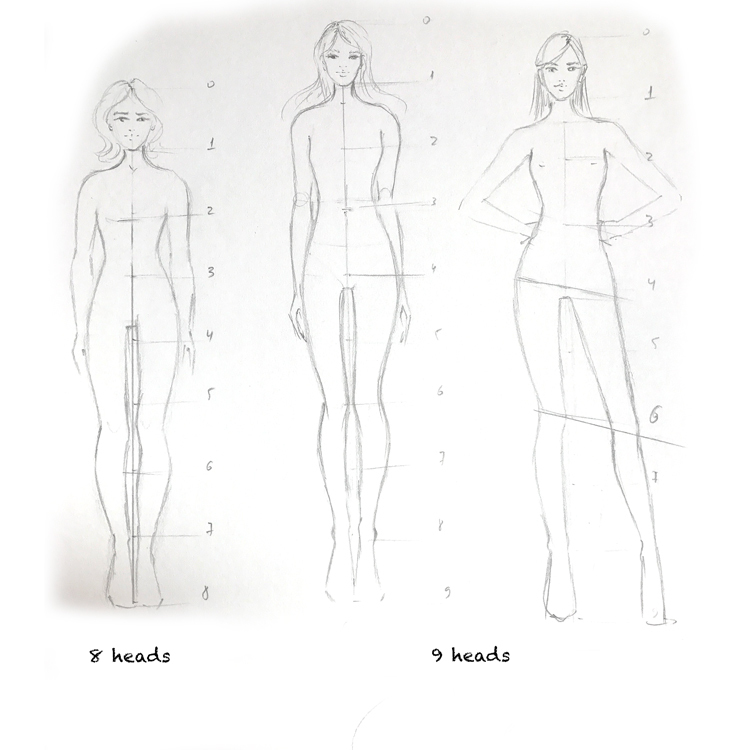 In fashion illustration we change the proportions to make the figure look taller and it can become 8-10 heads. Every illustrator adds their own style. Some artists exaggerate proportions to make their sketches stand up and be recognizable. Now lets find the lines for the neck, bust, waist, hips, crotch, knees and ankles. 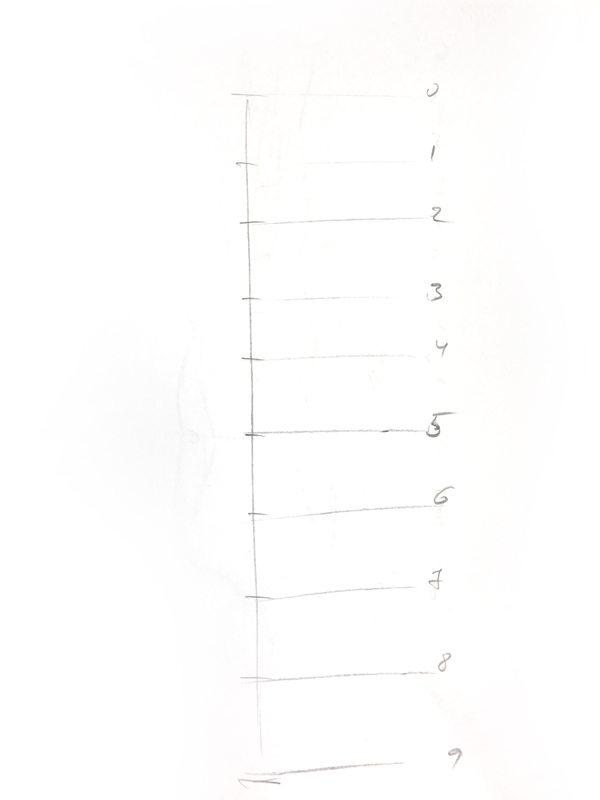 Draw the figure, don’t pay attention to rough lines, when the proportions are correct, make the lines smooth. Draw the legs and leave the last part for the feet. This entry was posted in Art, illustration tips and tagged fashion drawing, fashion figure tutorial, fashion illustration, how to draw on April 13, 2017 by Elena Fay. Happy New Year darlings! I hope you all had a fantastic celebration with your friends and families! 2016 has been a year filled with fun projects with brands that I always dreamed to work with, custom projects on Etsy and amazing collaborations on Instagram. Of course I had up and downs but I’ve learned a lot from my own mistakes. This is the first post of 2017 and I can’t wait to share with you the projects I’m currently working on! 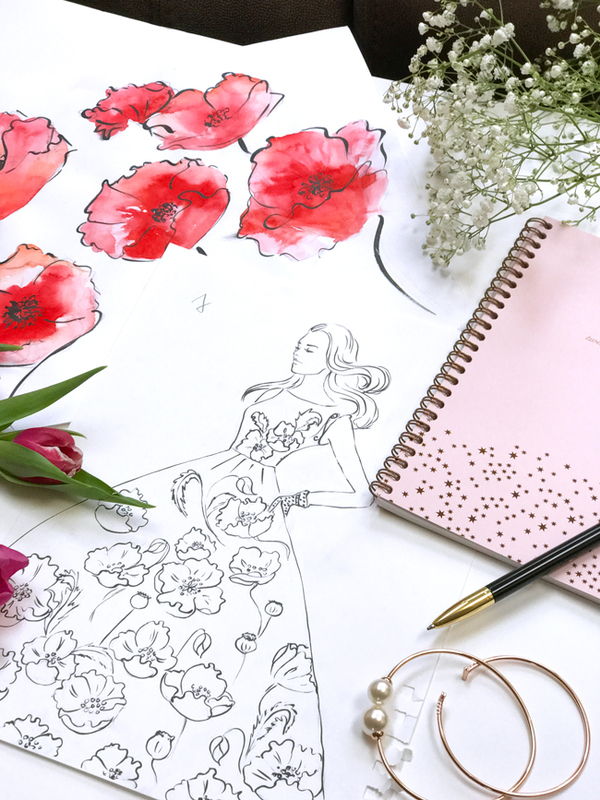 I’ve been a fan of coloring books for years and today I’m thrilled to tell you that I finally decided to work on my own fashion coloring book! Here is just a sneak peek of one of the pages but I’ll be sharing more on Instagram @dcinstyle. This entry was posted in Art, illustration and tagged adult color book, coloring book, fashion coloring book, fashion illustration on January 1, 2017 by Elena Fay. A few weeks ago I was sitting at a cafe and working on some custom portraits when one of my gym friends was walking by and asked me if I’m an artist. 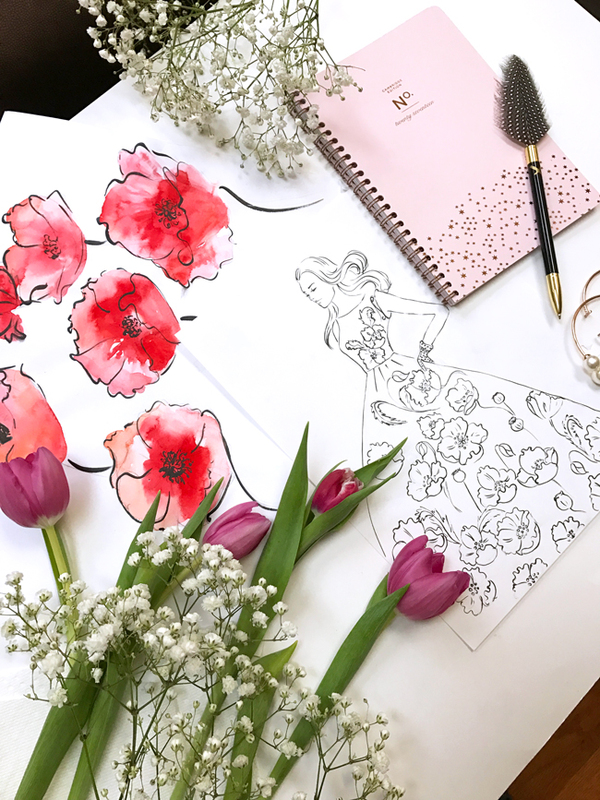 For some reason I started blushing and said that it’s just a hobby and my fashion illustrations were just silly scribbles. When she left, I was paralyzed and frustrated by my own response. Why could’t I tell her that I’m an artist and fashion illustrator??? Was it because I was afraid to be judged or criticized or even laughed at? I’m a self taught illustrator and I don’t have a diploma from a fancy art school but does it stop me from making art? No!!! 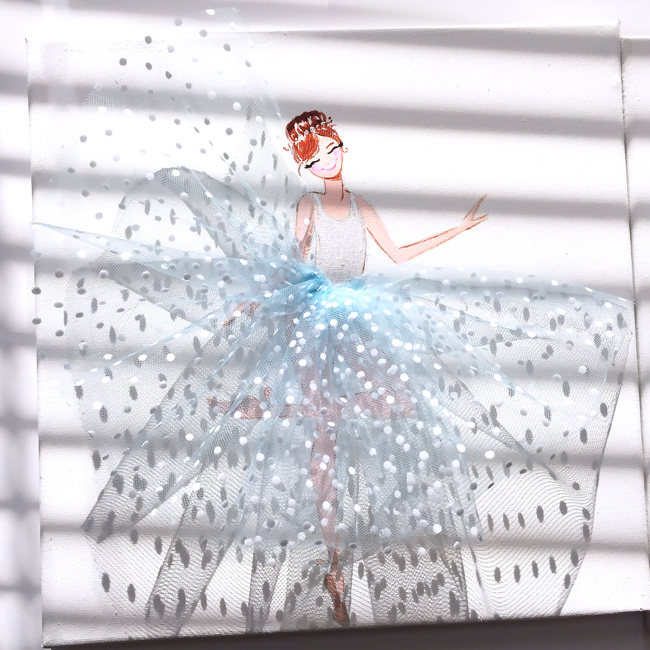 I love fashion illustration and painting really makes me feel happy. I consider myself a super lucky person because I can do what I really love and call it my job! Some people say that you can call yourself an artist only when you make a living out of it. So let’s make some money while doing what we love!!! 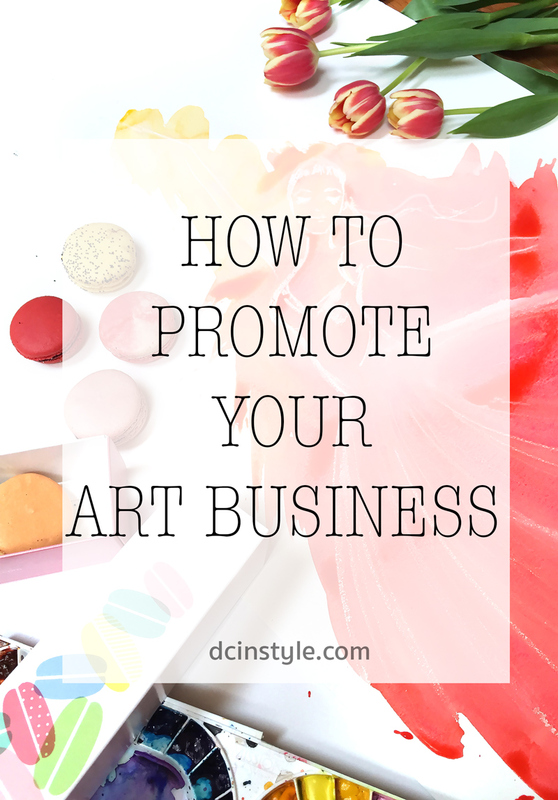 Here are a few tips I’ve learned (and I’m still learning) about how to be proud to be an artist and promote your art business like a pro! Let’s face it, Instagram is huge now and it’s my absolute favorite! It is changing every single day and it’s becoming a major platform that brings traffic, exposure and sales! Instagram is a visual platform and you can attract a lot of art lovers by posting beautiful images. You can promote your art business by creating unique and original content every day and will never run out of material. Use it wisely, be consistent with your posts and use right hashtags. Engage with your audience, give them something they care about, be helpful. Use Insta Stories for showing behind the scene, work in progress, your studio mess and inspiration. 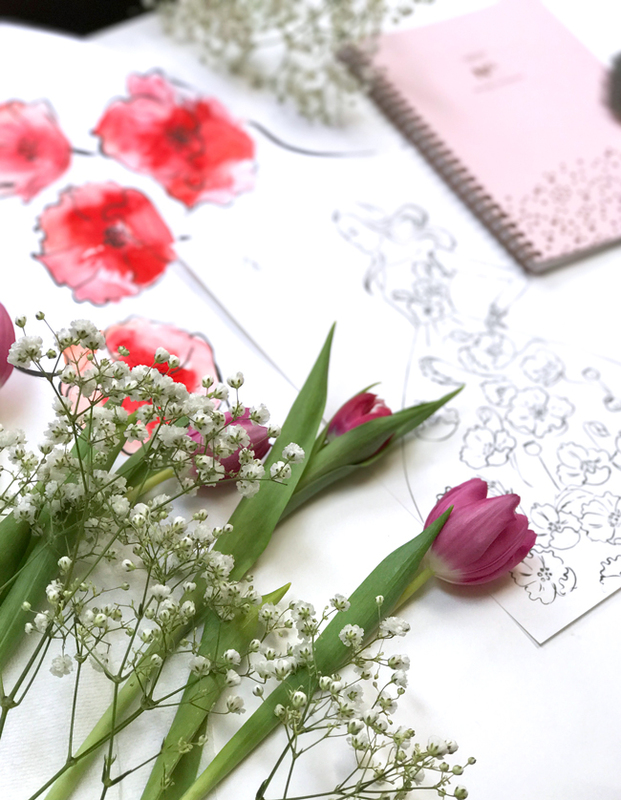 Think of your Pinterest account as of your portfolio or blog where you have different categories but they all should be connected. If your blog is about fitness and most of your followers are looking for fitness inspiration and healthy eating, than you shouldn’t be pinning cute pics with little kittens (I know, we all love kittens but these pins will not bring you customers). Check if all your boards are relevant to your niche. Edit your Pinterest boards (rename them and select the best board cover) so that your boards will attract the right people. All of your boards should be something that your potential customer/buyer is interested in. Blog is a great way to build great relationship with your readers and potential customers. Share your knowledge and expertise with your dream customers. Make a list of all the topics you want to write about. Decide how often do you want to post and work on the schedule. Be consistent with your posts and share quality content. No matter how many followers you have on Instagram/Pinterest/ YouTube/Twitter, having an email list is very important. You are not in control when social media platforms change their algorithm, you can loose your followers if the platform crashes (ohh my biggest fear) but you are in control of your email list so start working on it today. How? Create free printables, downloads, ecourse, something that you can give for free in exchange on email subscription. I’ve tried these platforms but they didn’t work for me but it doesn’t mean that they will not work for you. If you like to be in front of a camera, YouTube and Periscope are definitely your platforms. 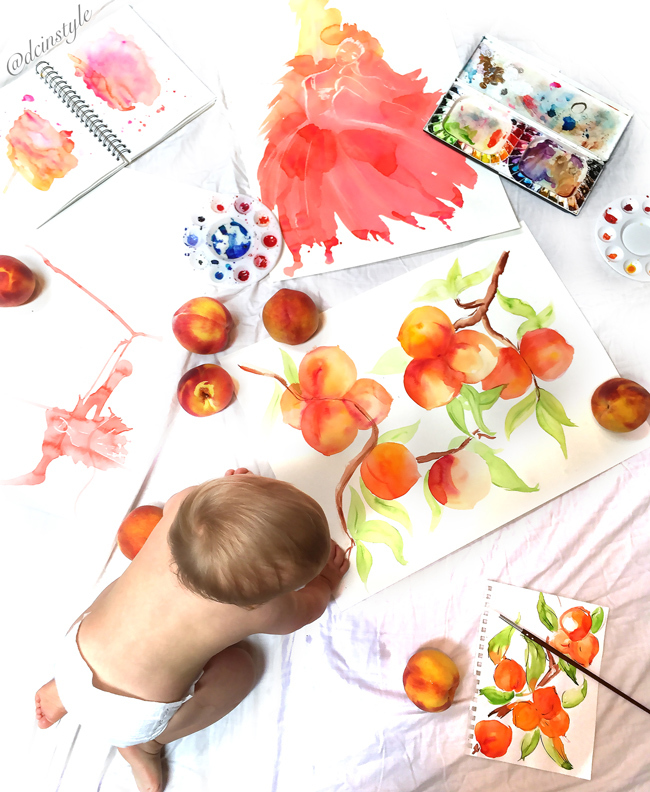 If you love art and really enjoy the process of creating art, then you can proudly call yourself an artist! Promote your work, engage with your followers and grow your business! 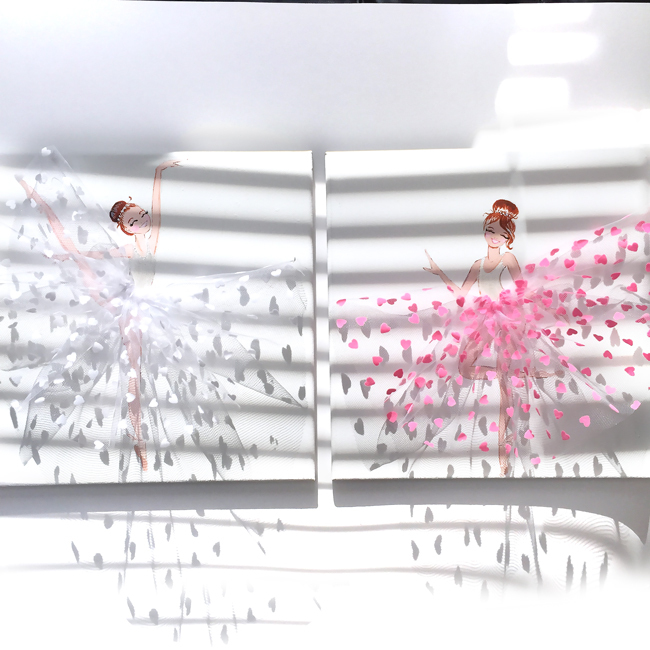 This entry was posted in Art, Business on November 15, 2016 by Elena Fay. It’s another gorgeous sunny morning here in Maryland and I wanted to start this day with a cup of delicious coffee! 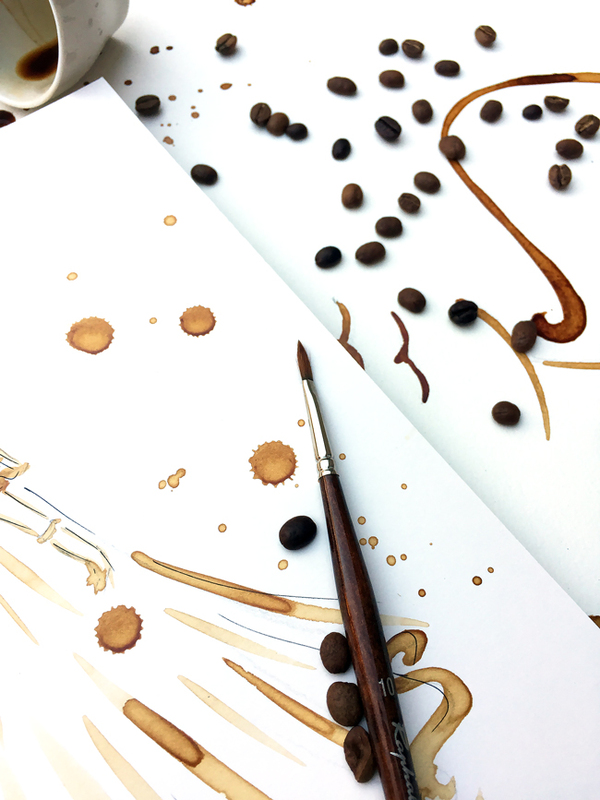 Hope you like coffee, because my Monday coffee illustration series is back!!! Yay! 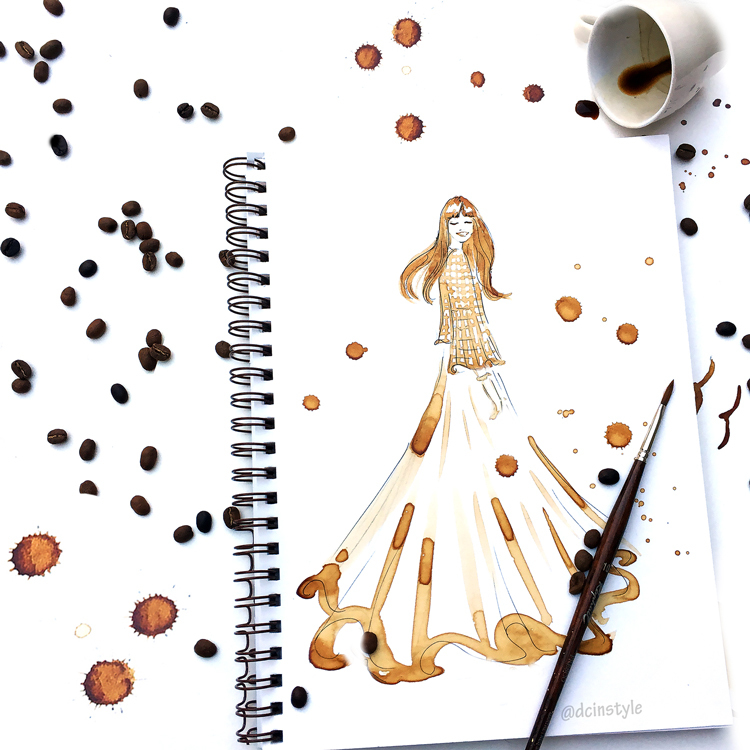 This particular sketch was inspired by very talented girl behind the blog Tara Milk Tea. 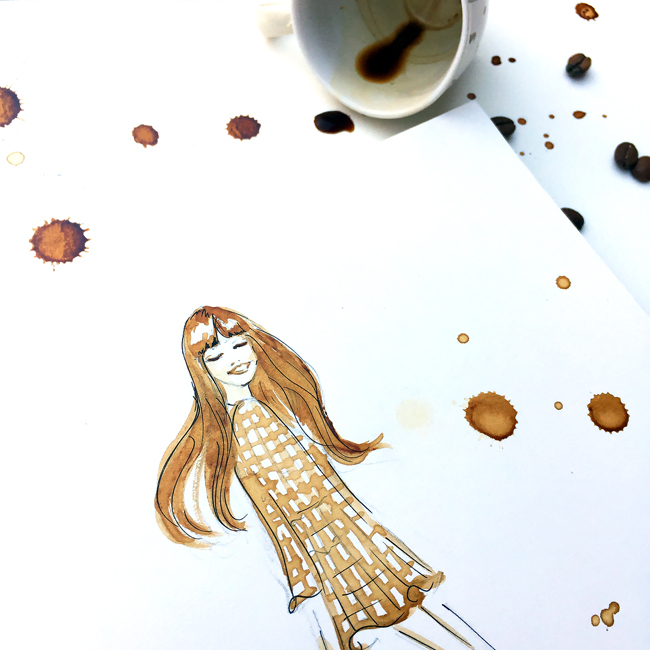 I stumbled upon one of her lovely photos on IG and just couldn’t resist to do a quick coffee sketch. Hope you like it and have a great start of the week! This entry was posted in Art, illustration on November 13, 2016 by Elena Fay. 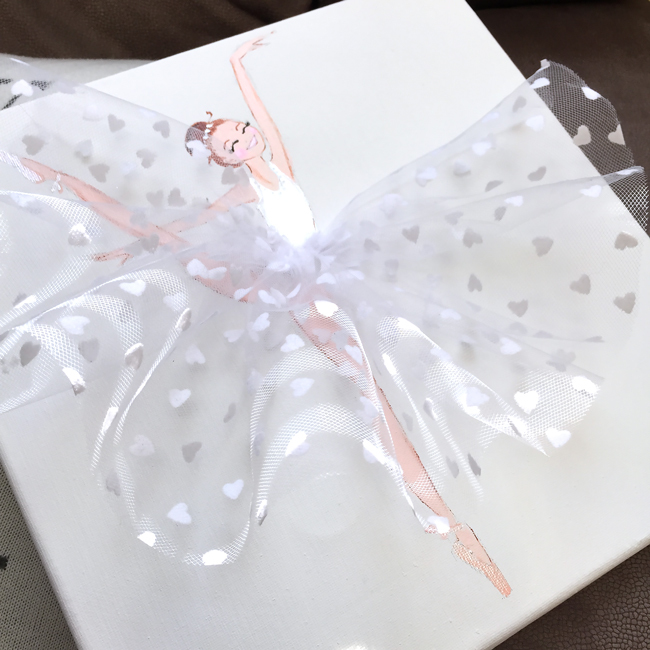 A few weeks ago, I made this cute set of charming ballerinas for my friend’s baby shower and the next day all her girlfriends asked me to make it for them as well. 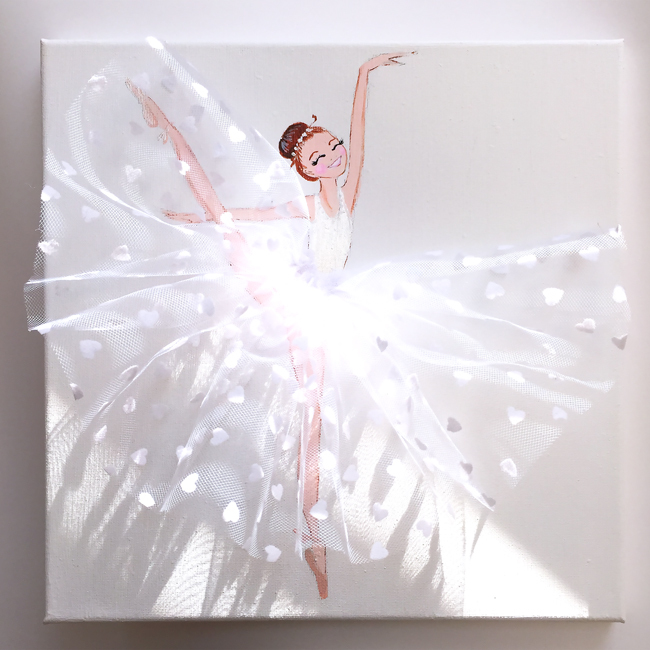 I got so many orders that my house looks like a tutu shop now:)) Today I’m super excited to tell you that I added these cuties to my shop (happy dance:) ) and you can decorate your nursery with these charming dancers or give it as a gift to your friends. What do you think loves? 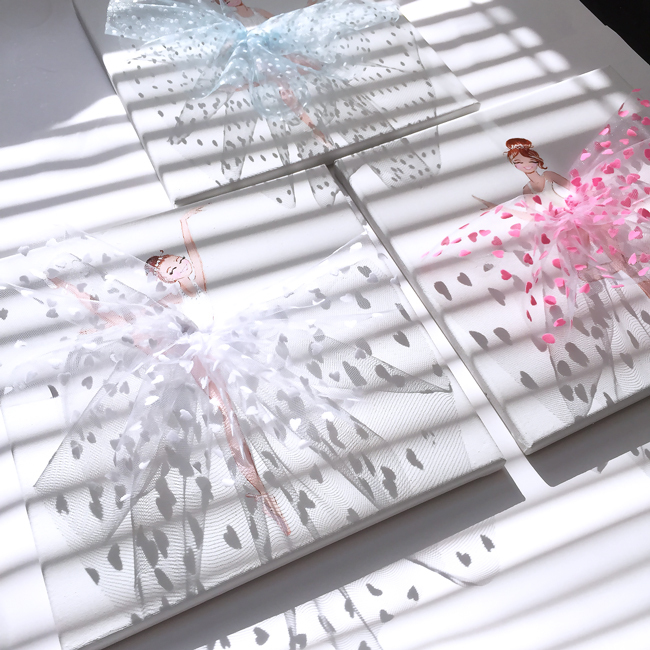 Which color or print do you think I should get for my next set of ballerinas??? 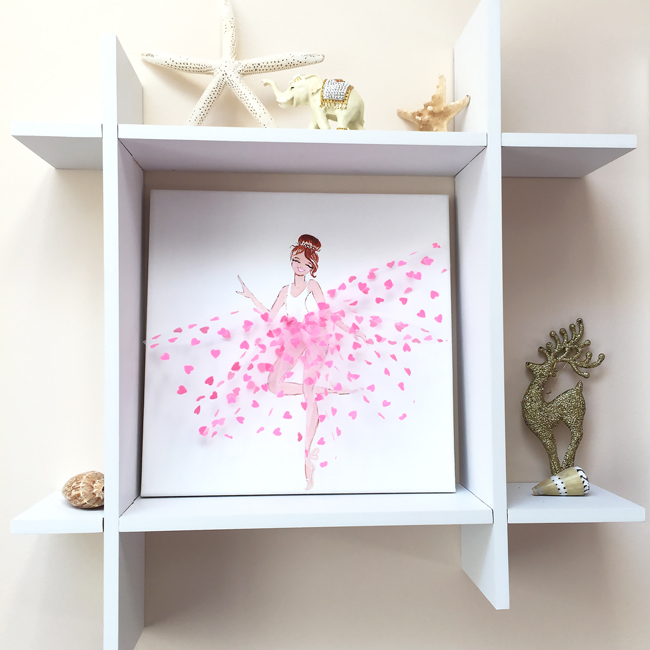 This entry was posted in Art and tagged ballerinas, ballerinas nursery art, girls room decor, nursery decor on November 4, 2016 by Elena Fay. Hey guys! I'm delighted you are here! 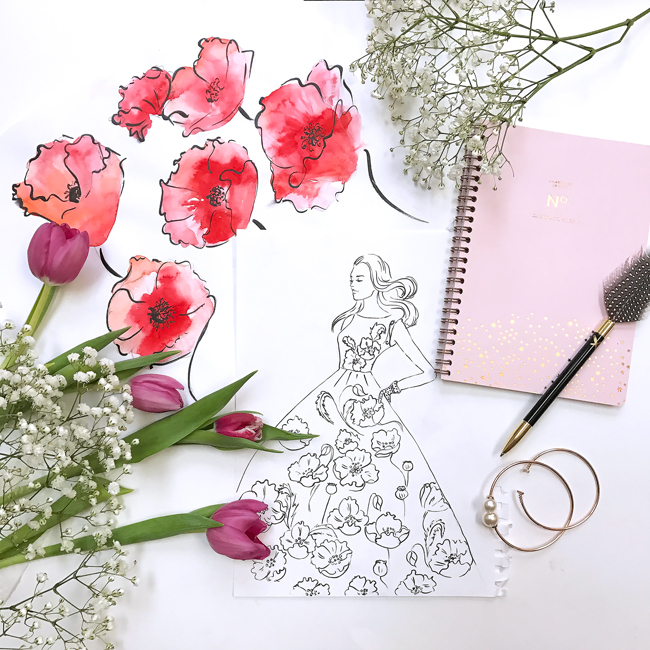 Welcome to my little world of inspiration where I'll be sharing my artwork, behind the scene and some tips about creative biz!